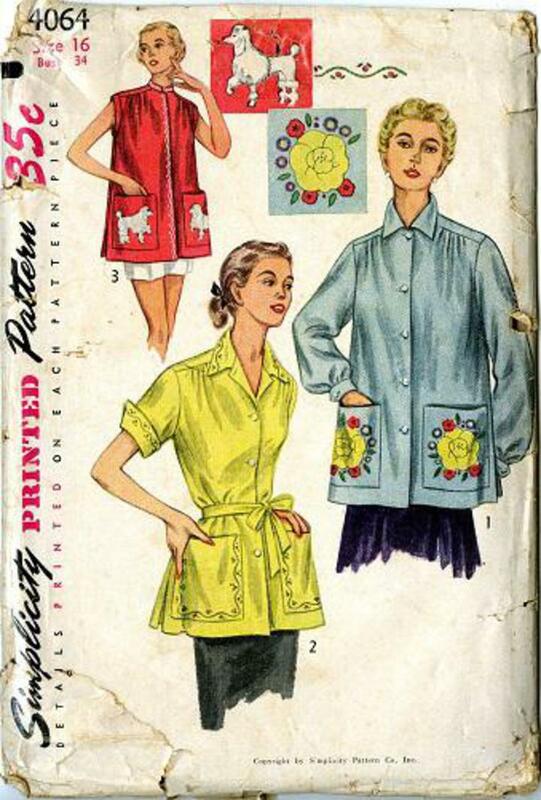 1952 Simplicity #4064 vintage sewing pattern, misses' smock with original transfer, size 16. This is sold for pieces only and original transfer. Missing (A) pocket, (B) front smock, (E) sleeve, (G) collar. Decorative flowers and pocket trim transfers included. Poodle transfer is missing. SOLD AS-IS.